If you’re looking for your first home, or to move up the property ladder, a great way to get the house of your dreams is to attend a preview event. Preview events let you get insider information on new developments before they’re completed, and offers the chance to snap up a great property before anyone else hears about them! We have two preview events coming up, which you might want to attend if you’re looking to buy a home in Chesham in the Chiltern Hills, or Royston in Hertfordshire. Would you like to live in the heart of an Area of Outstanding Natural Beauty? If so, Randall Way, Chesham is situated in the most stunning countryside yet this market town has a very cosmopolitan feel. Our small development of just ten homes is perfectly situated in the popular Waterside area of Chesham, a short distance from the town centre and is available through the government-backed Help to Buy initiative. Chesham is often described as having one foot in the Chilterns and one in the City. Only 25 miles from London, it’s actually on the Metropolitan line, taking commuters to Kings Cross in just under an hour. The town itself has lots going on, from numerous cafes, restaurants and bars, to thriving independent shops and all the facilities you would expect in an affluent part of the country. Sports and leisure facilities are superb, and you are surrounded by beautiful countryside for walking, cycling, horse-riding or simply enjoying. Randall Way sits at the end of a private driveway and offers homebuyers the choice of ten exclusive homes. These two, three and four bedroom luxury homes will be finished to the highest specification with Siemens integrated appliances, Amtico flooring, and Ideal Standard sanitaryware. To ensure that you don’t miss out on one of these beautiful family homes, we would highly recommend that you attend our preview. By registering your interest in this upcoming development, we will update you on when the Preview Event will be taking place. Our other preview event is for a development of modern family homes in Royston, Hertfordshire called Garden Walk. 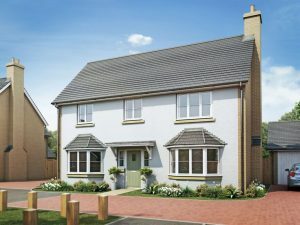 Also available through Help to Buy, Garden Walk is an exclusive collection of 19 three, four and five bedroom semi-detached and detached homes in a very desirable rural location. Royston is just 43 miles north of London and nestles on the slopes of the Hertfordshire Chalk Downs. The town is popular with homebuyers as it offers plenty of facilities including independent shops, high street brands, eateries, and sports and leisure activities. It is also a great place for families with excellent schools including a choice of primary schools, a ‘good’ Ofsted-rated academy and ‘outstanding’ sixth form college. Royston has great transport links too; London approximately 34 minutes, Cambridge 15 minutes, and both Stansted and Luton airports are nearby. Perfect for commuters and anyone who wants easy access to the motorway network and international travel. As with all Troy Homes developments, Garden Walk will be finished to a high specification and offer luxury family living in a very attractive and popular part of Hertfordshire. To register for our preview event and to find out more about Garden Walk in Royston, click here.